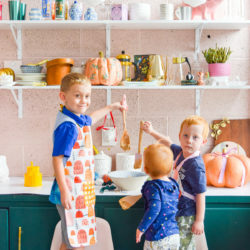 Holiday entertaining can sometimes feel like a daunting task in the midst of baking all the cookies, hosting out-of-town guests and artfully wrapping every last present. But it doesn’t have to be that way. 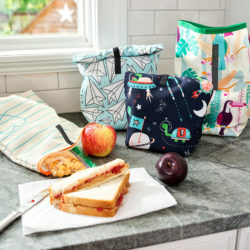 If you find yourself crafting the perfect “kid’s table” one day and then quickly transforming your dining room into a space that would make Martha Stewart envious the next, you’ll love our new go-to party project: reversible table runners! With the option of using a kid-friendly design on one side and a more upscale option on the other, you can entertain for two occasions using the same runner. We think that’s a win win! Keep reading to find out how to make this time-saving project for your next celebration. 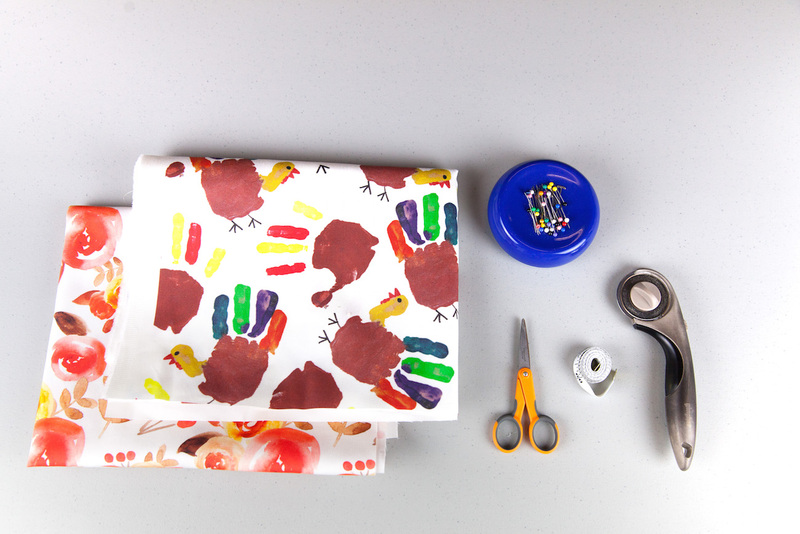 Add a touch of personalization using your child’s artwork on one side of your table runner. See how! 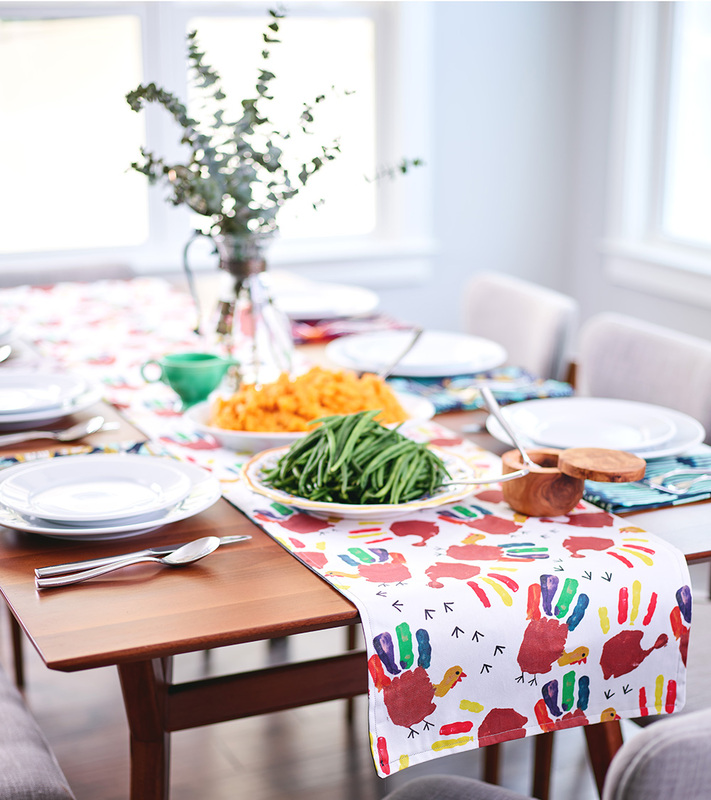 Before you get started, determine what size table runner you want to create. Tables runners are typically 10″-15″ wide and 36″-108″ long. 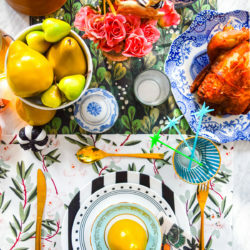 Any savvy dinner host will suggest that the width of your table runner should be 1/3 the width of your table and you should allow for 6″ on both ends to hang over the table. Pro tip: If your table runner is shorter than 36″, the vertical Fill-a-Yard™ template will be just what you need! 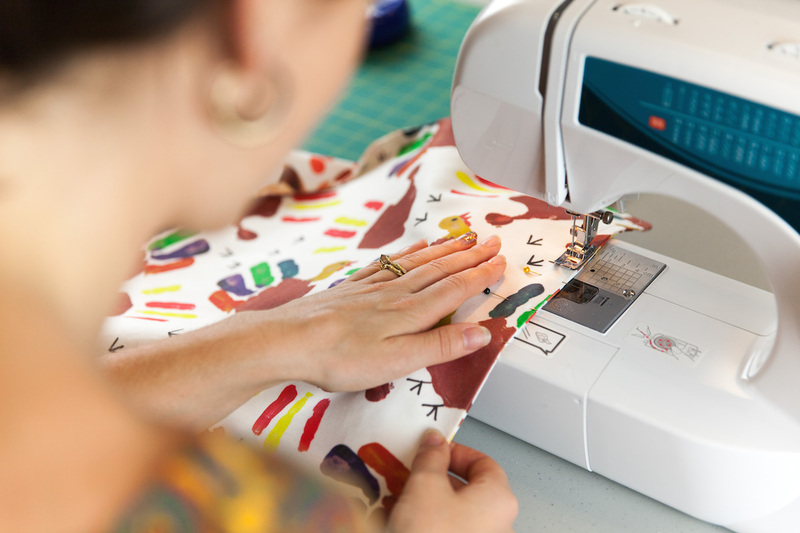 For our runner, we’ll be cutting two 17″ x 64″ panels, one from each fabric design. 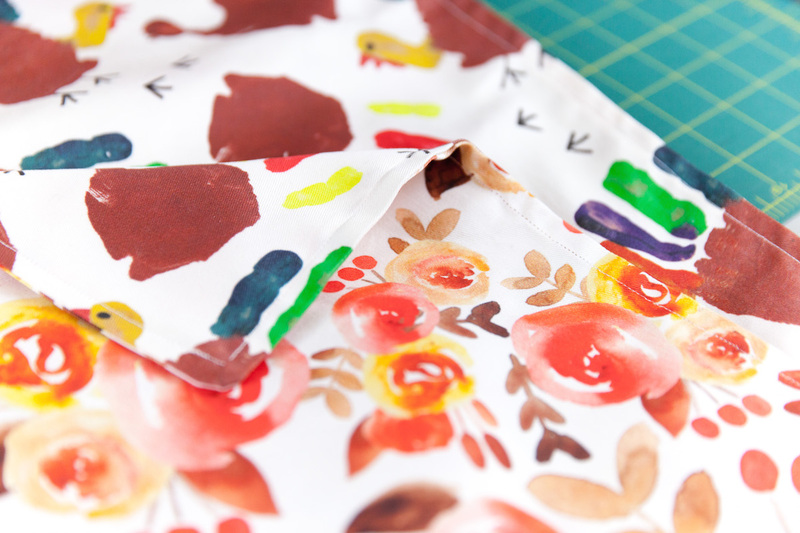 Next, pin the two fabric panels right side togethers and stitch with a 5/8″ seam allowance. 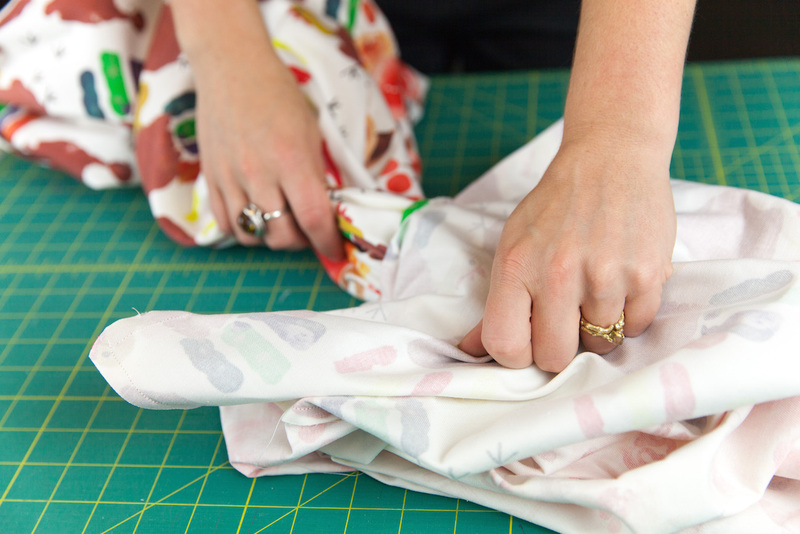 Remember to leave a 4″ opening in the center of one short end so you can easily flip the fabric right side out! After you’ve sewn the two panels together, lay your fabric out flat and trim the seam allowance, making sure you don’t cut into your stitches. To create crisp points, trim the seam around the corners on an angle. Flip your fabric right side out. 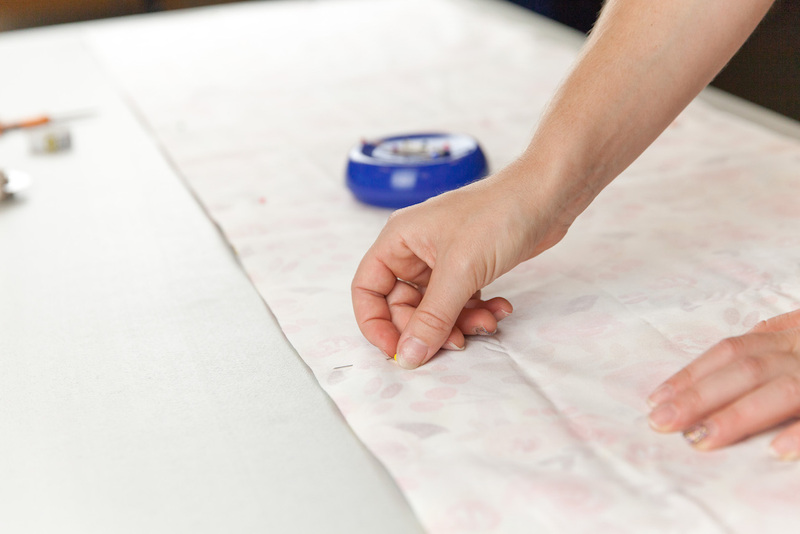 Before pressing your seam, use a point turner or pointed object (make sure it’s not sharp!) to push out your corners. 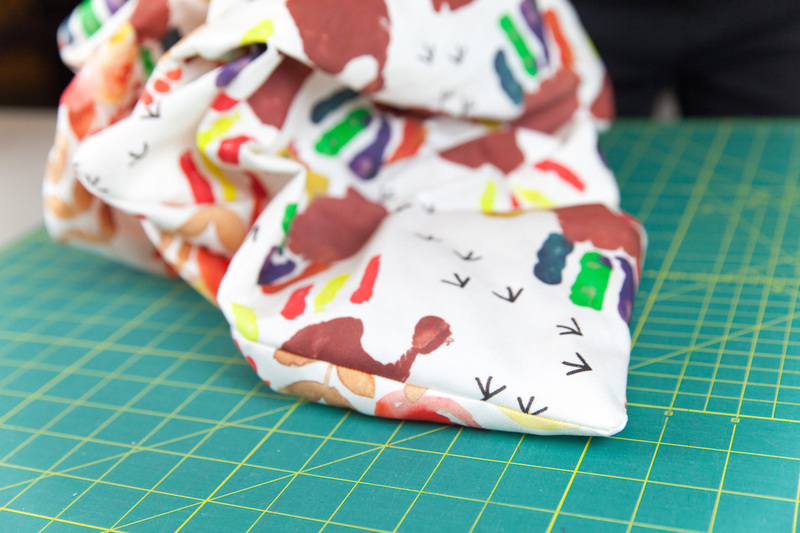 Press your seams flat, making sure to fold in the unsewn section. To close the opening of your table runner, topstitch around the entire edge of your table runner. And you’re done! 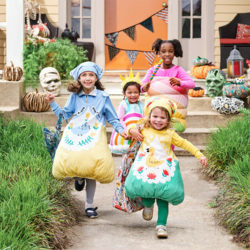 Now that you’re finding extra time thanks to your new reversible, why not use that spare time crafting up a matching apron to impress your guests! 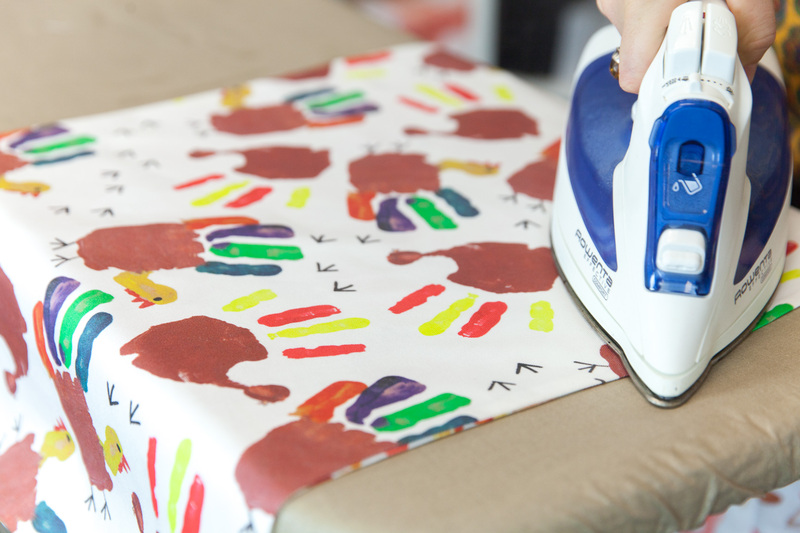 Add a layer of Insul-bright to make it heat safe and your runner will double as a hot pad! What a brilliant idea! We’re going to have to make another version just to test it out.